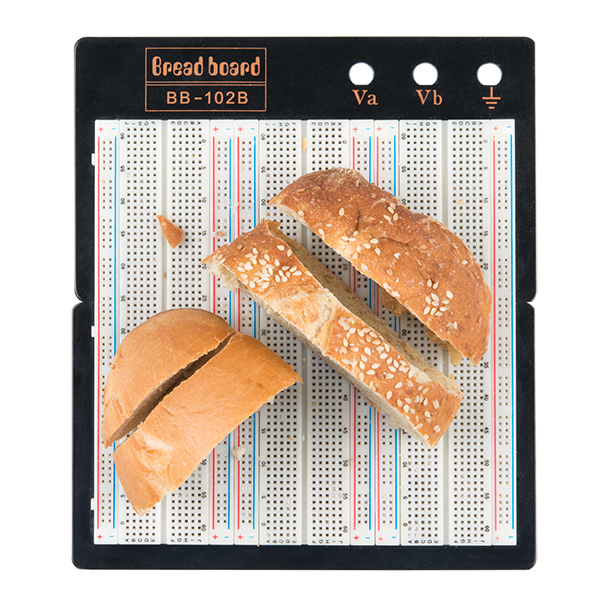 Bread Boards have been a staple for any electronics hobbyist and professional for untold eons but the one thing they have never been really good at is being able to, well… cut bread on. The SparkFun Bread Cutting Board is a revolutionary design from us, we’ve taken patented crumb retention technology, open sourced it, and made it available on this handy board! When applying power to the board it may double-cook the crumbs found in the retention ports but that will just provide you a tasty, mid-project snack! The Bread Cutting Board works well with both French Rolls and Sesame Loaf, but do keep in mind that it is not compatible with Rye. 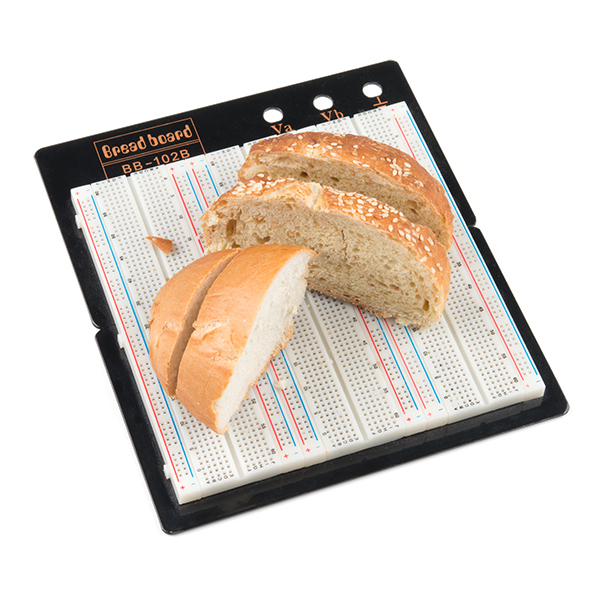 Remember, you deserve ‘butter’ than your average bread board, your deserve the SparkFun Bread Cutting Board!